AT the annual Bluefaced Leicester sale, Hawes, the Midlock flock of Allan Wight and team, Crawford, smashed the current ram lamb breed record when they sold a J6 Hewgill son for £37,000. Trade was electric, as ram lamb averages were up £125 up on the year. 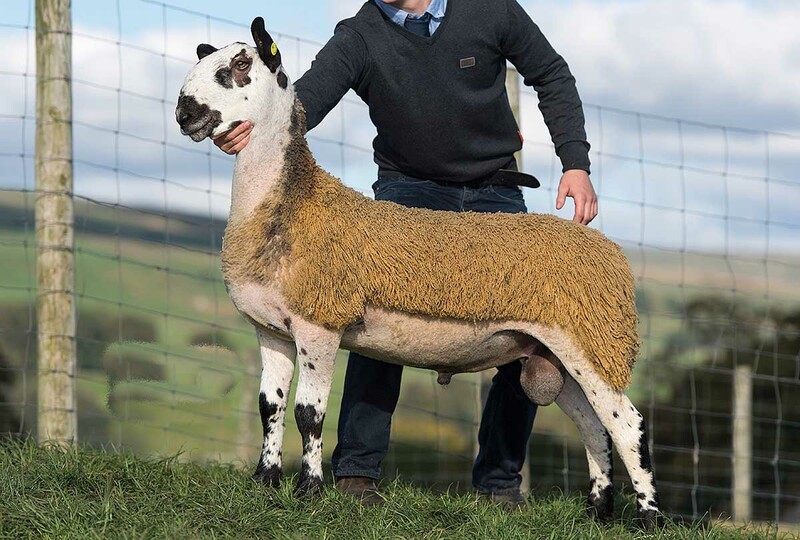 Out of a ewe by B4 Tanhouse, which has already bred over £40,000 worth of rams, the record breaker sold to Jamie Pirie, Blarnavaid, and Andrew Campbell, Drimsynie. The Midlock pen averaged £6,911 for nine lambs sold. At £24,000 was a ram lamb from the Smearsett flock run by the Booth family, Feizor. By G11 Smearsett, it is out of a dam by S1 Lunesdale and sold in a three-way split to K.A. Brown and Sons, Great Asby, Jack and Adam Lawson, Mealsgate, and A. and G. Lodge, The Smearsett flocked levelled at £3,614 for 14 rams sold. At the same money was a ram lamb from W.A. Dinsdale of the Harkerside flock, Richmond. 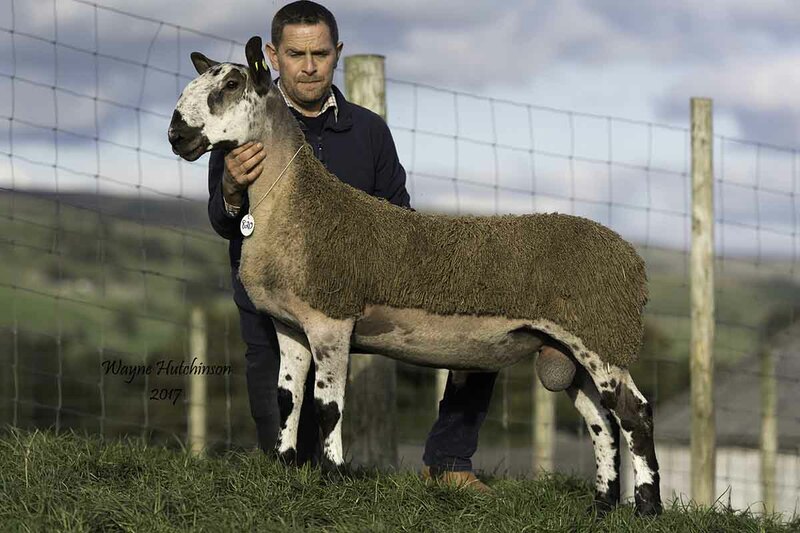 This son of G6 Midlock is out of a ewe by B1 Todhills G6, and sold in a three-way split to Scottish breeders Jimmy Bell, Stewart Park and John Graham. The Riddings flock of W.C. Porter and Son, North Yorkshire, sold a ram lamb to £23,000. By the £14,000 ram Carry House Jackpot, it is out of a ewe by Z1 Riddings, and sold to Martin Allan, Dufton, and Craig Taylor, Great Asby, who also both paid £5,500 for the pre-sale champion, a Riddings-bred ram lamb from the same vendors. Andrew and Caroline Hunter, Hexham, sold a tup lamb at £20,000. 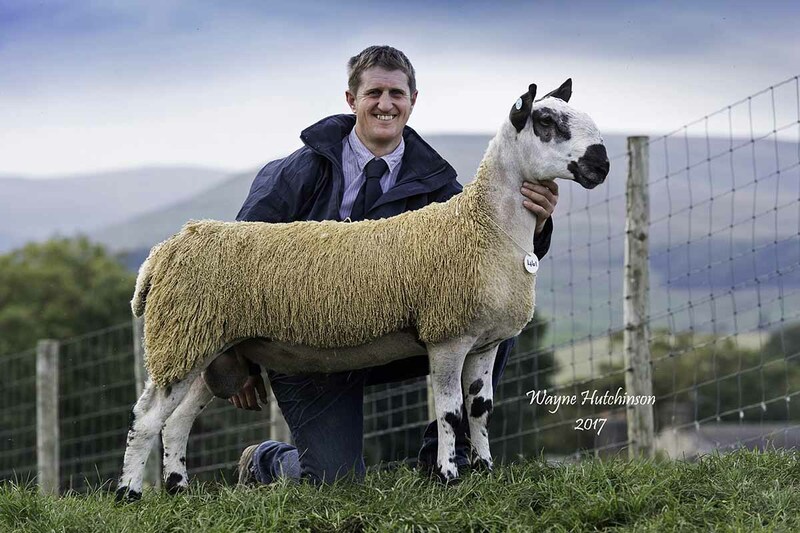 By a £4,000 Firth-bred ram and out of a ewe by a £10,000 Midlock sire, it sold to a consortium of buyers including Tom Willoughby, Wensleydale, J. Allinson, Arkengarthdale, and E. Buckles, Carlisle. Making the same was a ram lamb by G1 Midlock out of a ewe by E1 Swarthburn from Michael James of the Duhonw flock, Builth Wells, which sold in a split to James Herdman, Edlingham, Obie Sharp, Newbigging Walls, P. Hedley, Earlston, and C. Campbell, Peebles. Shearling rams sold to £3,000 for a lot from J.A. and R. Caton, Malahamdale, selling to A. Lodge, Malham Moor. The same buyers also had the top aged ram at £2,600, selling to J. Sunter and Son, Hawes. Female prices hit £2,000 for the first placed gimmer lamb from J.H. Critchlow, Ashbourne. The buyer was B.O. Connor, Northern Ireland. The winning shearling gimmer from W.A. and G.R. Sedgley, Sedbergh, made £1,650 to C.R. and E.S. Millican, Inverurie. At £24,000 was a ram lamb from the Smearsett flock run by the Booth family, Feizor. Andrew and Caroline Hunter, Hexham, sold a tup lamb at £20,000. 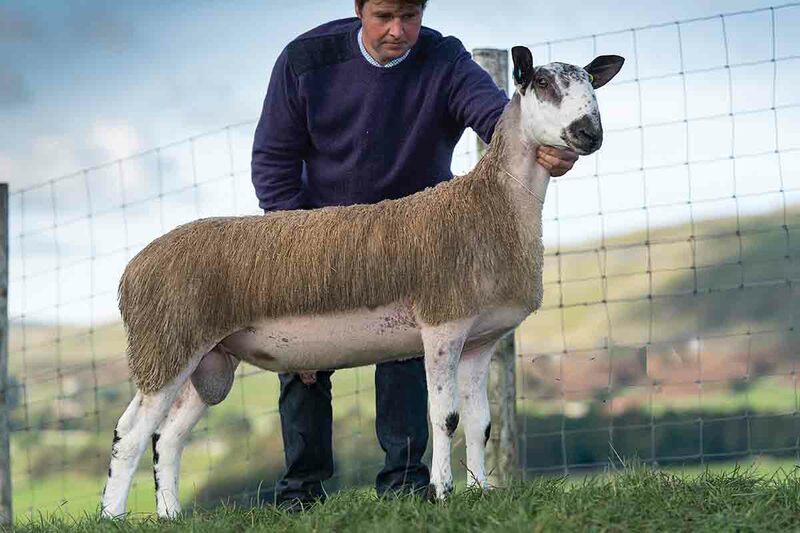 At £20,000 was a ram lamb from Michael James of the Duhonw flock. Ram lambs, £1,549 (+£125); aged rams, £1,081; shearling rams, £793 (+ £231); ewes, £755 (+£110); shearling gimmers, £697 (+£175); gimmer lambs, £538 (+£24).